A Professional Chiropractor doesn’t just treat back pain they view you and treat you as a whole person. We use non-invasive, drug-free methods to reach optimum Health and Wellness. 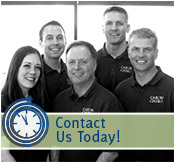 The Caron Chiropractic Clinic in St. Paul, MN utilizes spinal adjustments as well as other natural therapies for effective Pain Relief, Improved Mobility and a better quality of life. Our healing techniques include massage therapy and exercises that reduce stress and are naturally Mood Enhancing. Most people think of chiropractic care for pain relief from back or neck injuries. Many would be surprised to learn of other Health Benefits attributed to regular treatments at an Experienced Chiropractic Clinic. Licensed Chiropractors at Caron Chiropractic Clinic, P.A. has been providing professional chiropractic care since 1992. We are highly experienced and dedicated to improving health and wellness through spinal adjustments and other natural therapies. Patients rely on us for drugless Pain Relief and holistic Mood Enhancing treatments. Call for an appointment today in our St. Paul, MN office at 651-255-9999! This entry was posted	on Friday, October 31st, 2014 at 6:33 pm	and is filed under Chiropractic, Neck Pain. You can follow any responses to this entry through the RSS 2.0 feed. You can leave a response, or trackback from your own site.